4,000 kilometers away from each other and vastly different in size, language, and business etiquette. Israel and Poland may have their differences, but are equals in more ways than one. The “Start-Up Nation” brings cutting-edge technologies to the table, while Poland offers a stable and still highly absorbent market for them. But is there a way to make the most out of this incredible opportunity without cultural differences spoiling it? Cultural differences have a tendency to affect business and usually not in a good way. But with some expert knowledge and good will from both parties, long-term partnerships are absolutely possible. I had the pleasure of talking with a specialist in managing business and cultural differences— Katarzyna Dzidt, the Business Development Director at the Israeli Embassy’s Economic and Trade Mission to Poland. Cooperating with Polish and Israeli companies on a daily basis, she helps Israeli companies enter and succeed on the Polish market. And she has got a wealth of advice and invaluable insights for businesses out there that are looking to explore the opportunities offered by the Polish market. If you’ve been wondering how long it takes to close a deal with Poles and how to become an attractive partner for Poland-based firms, look no further—you’ll find the answers to these questions and more business advice in the interview below. Joanna Staromiejska: How does doing business in Poland differ from doing business in Israel? KD: The countries vastly differ in size, Israel only has a population of eight million—it’s roughly the size of a Polish voivodship. The size difference, however, translates to greater flexibility. Many people know each other from compulsory military service. Their social and professional networks are much bigger, making networking easier. The internal competition structure in both countries is also markedly different. Take utilities for example—Israel only has a single power company supplying the country’s electricity, while in Poland you can name at least a few. This often leads to more competition among technology service providers in Israel. Where in Poland you have a few potential end customers, in Israel there is only one. Although this is surprising to Polish partners, Israeli companies often retain a start-up mindset even long after they stop being one. Often a company calling itself “a fintech start-up,” already as thirty people on staff and $30M USD of financing secured in the next round. So the perception of respective size often influences the companies’ attitude toward each other. JS: How do cultural differences affect business relationships? KD: Israeli people are pretty much the “Let’s do it right now” type. By that I mean they would like emails answered the second they appear in the inbox (and, to be honest, it works both ways—their replies are usually immediate), meetings to be scheduled for the next day, and deals to be closed within a week. And naturally they try to apply this swiftness of action to their operations in Poland, whereas Poles are more familiar with lengthy procedures, formalities, and protracted decision-making processes. Israelis are open and quite casual. People start conversations and easily make contact at events. At the first meeting with Israeli partners, formal barriers quickly break down. That can be a little tough for the Polish side and its proclivity for formalism. That, in turn, partially stems from something as trivial as… the weather. For most of the year, the weather in Poland favors suits, whereas the 30-degree average temperatures in Israel not so much. And it goes from there—the looser the outfit, the easier the contacts. JS: What should Israeli do in order to become an attractive partner to Polish firms? KD: The key thing for Polish enterprises is scalability. One product working perfectly well in a small Israeli community might not adapt easily to the growing number of users in Poland and a much larger territory in which to operate. That’s why companies with even a minimal track record, e.g. in the form of even a single implementation, are usually treated with more trust than start-ups. JS: What advice would you give to Israeli businesses thinking of trying their luck in Poland? KD: The Israeli partner should understand that it takes time and patience. The stretch from the first meeting up to implementation may very well be two years long, especially when we’re talking about the Polish public sector. Sometimes, the Israelis push too hard for answers or meetings, and such pressure often results in Polish partners withdrawing from negotiations. Secondly, I would say: be present. As Poland is flooded by an ever-growing number of start-ups from all over the world, the only reasonable way to become a visible partner is to be present. At conferences, face-to-face meetings, showing interest, engagement and getting to know each other personally. The quality and uniqueness of the solution obviously plays a key role, but due to lack of presence, Polish partners might ultimately turn to someone who really cares. 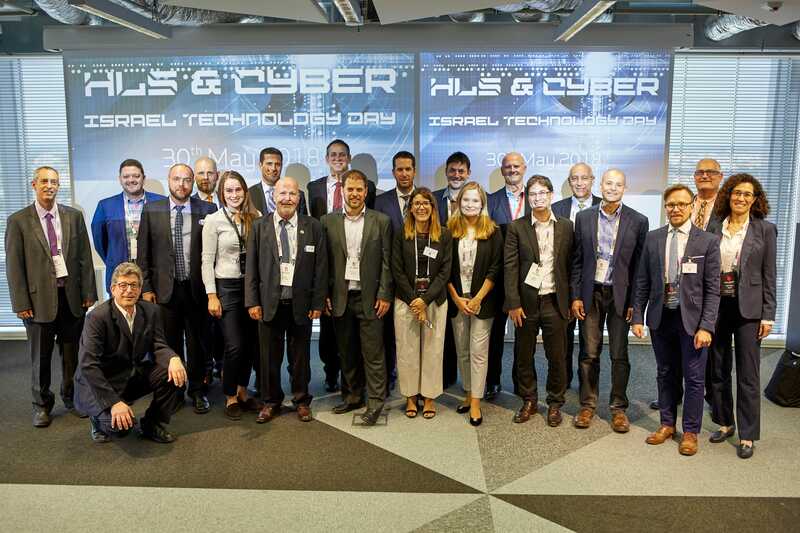 That’s why events such as the HLS&CYBER Israeli Technology Day are so important for establishing contacts and relationships with the Polish side. JS: Any advice for the Polish side? KD: I’d say that Polish companies should do the opposite—try to be more accessible and do everything to shorten the process of closing a deal. One important aspect that Poles tend to forget about is that each and every point on the Israeli contract is negotiable. So it’s better not to withdraw at the beginning and get discouraged by the price or the timeline, when it’s just a starting point for a discussion for the Israeli side. Israeli companies are very, very flexible. JS: What’s the idea behind the events you mentioned, organized in Tel Aviv? KD: The international HLS&CYBER conferences held every two years are organized by the Israeli Ministry of Economy, the Chancellery of the Prime Minister, and the Israel Cyber Alliance. It’s one of the most important industry events in Israel. It promotes the solutions related to cyber security and homeland security at a comprehensive exhibition of the most recent technological advancements. At the event, visitors have the opportunity to meet with leading international experts in respective fields during one-on-one meetings. So the event is a perfect opportunity for Polish companies to get to see top-notch Israeli technology from up close and network with potential partners, and for Israeli companies to present their goods and services. The last edition took place in Tel Aviv, on November 12-15, 2018. Poland is a technology sanctuary, where you can safely take your ideas out for a spin in an innovative and open environment. Make the most out of this incredible opportunity without cultural differences spoiling it. Talk to our team and find common ground for cooperation.